A majority of hammocks used for camping and backpacking have a simple, gathered-end design and come with a handy stuff sack sewn on one side, right in the middle. These little sacks are convenient because the storage sack is always attached, easy to find, and it makes packing up a little easier. 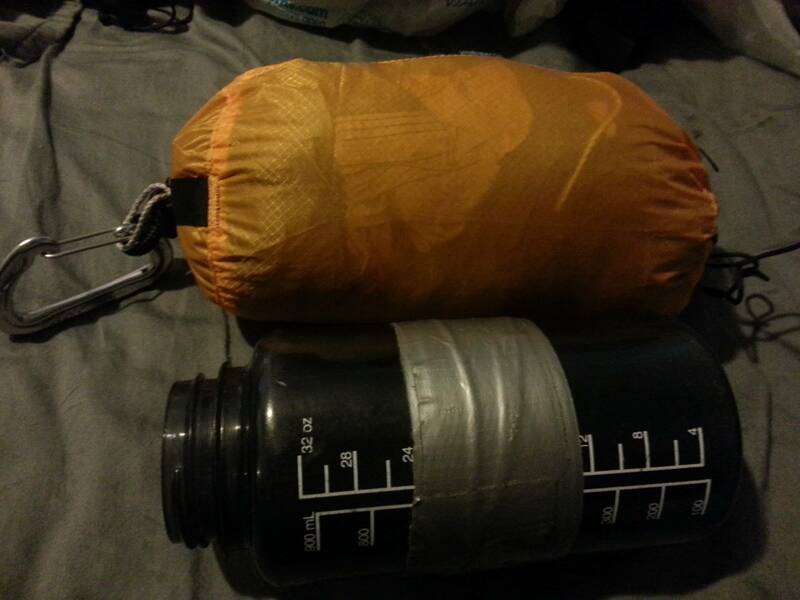 Plus, you can use the stuff sack as a gear pocket when the hammock is hung up—store your favorite beverage, a book, or even a flashlight. 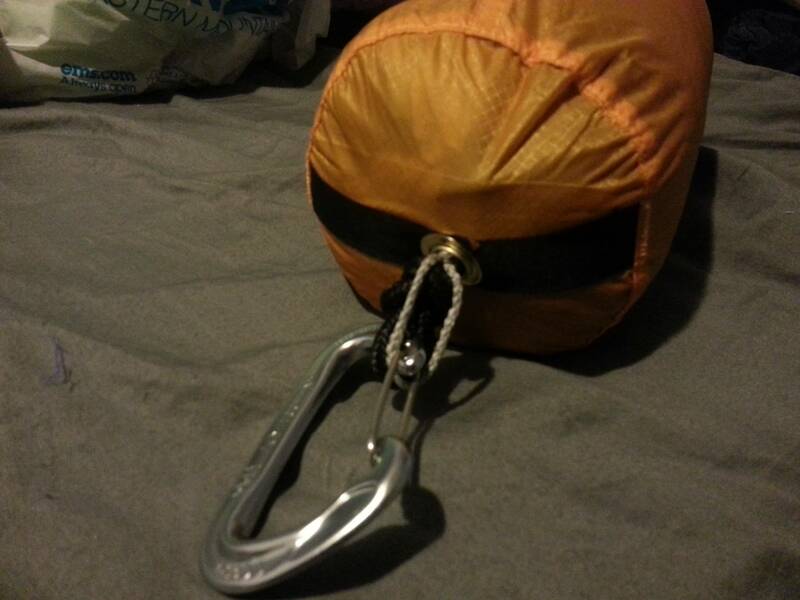 While there is nothing wrong with these sewn-on stuff sacks, my favorite hammock storage sack is a double-sided sack that floats on one end of the hammock. A bishop bag (a.k.a. Black Bishop Sack) and Snake Skin sacks are similar: they allow the hammock to be stuffed end-to-end like a tube. A bishop bag differs from a double-sided stuff sack in that instead of a cord-lock cinch on both ends, one end has only a small hole. Double-sided stuff sacks and the like can be a little faster and easier to stuff than sewn-on sacks because you can pull against one end of the hammock while stuffing the other end into the sack. C.) Sew a button hole on the bottom of the bag. 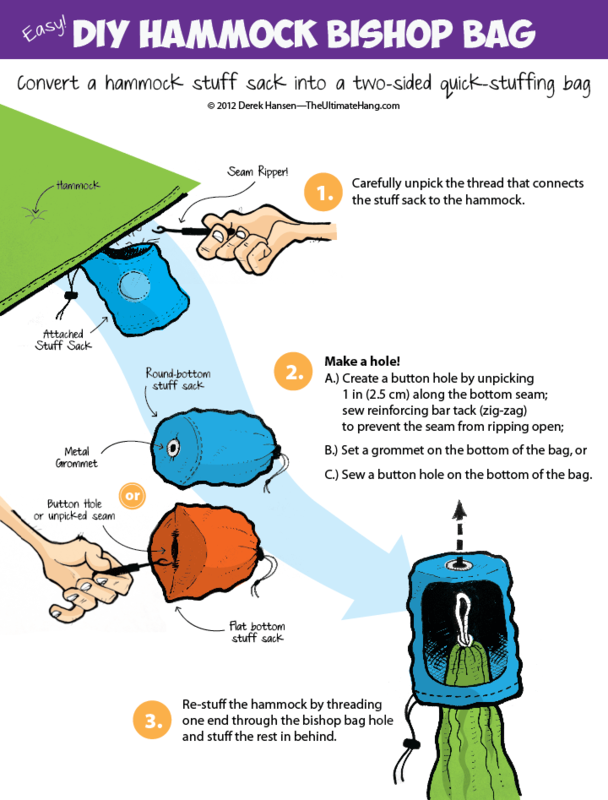 Re-stuff the hammock by threading one end through the bishop bag hole and stuff the rest in behind. Thanks for posting here Jeremy! This is the one I saw you post on HF — very slick. Good one man that looks great!! Thank you Derek, and again: your drawings make everything so clear. Wonderful skill.